Please help us with competency building for collective behavior and read our books, articles, and blog posts and share them with other people. Tell your family, friends, colleagues, and partners about us. Join our network and receive up-to-date information about our courses and webinars, as well as news about our projects and thought leadership development. If you share our news with friends, you can help us to expand the collective leadership community and raise awareness about the collective leadership approach. All funds that you contribute for our work are used responsibly to maximize the results of our efforts. You can help us in various ways, e.g. with a private donation or a donation collection drive in a community. It is a great joy for me to be able to support the work you do at Collective Leadership Institute to help make the world a more connected place. Why Donating for the Collective Leadership Institute? Our vision is to empower future-oriented people to lead collectively towards a sustainable future. We believe in the principle of cooperation and collectively created solutions – across sectors, institutions, nations, and cultures. With our Executive Education, our Integrated Capacity Development, our Community Building, and our Research, we build competence for sustainability. We empower leaders who anchor their actions in the concern for the greater good and the future of humankind on this planet – for responsible business, people-oriented public service, and a strong civil society. Through our work, many people experience the force of collective culture that has empowered and inspired them to foster Collective Leadership in their own projects around the world. Collective culture motivates us to be more conscious of ourselves, our partners, and our colleagues and helps us to understand the complex systems and interconnections behind our actions. Through it, we increase our understanding of the wholeness behind our co-creation and enable ourselves to see the many possibilities for reaching the 17 Sustainable Development Goals and make the Agenda 2030 a reality. Our children deserve a better world than the one we have inherited from our parents and grandparents, therefore we urgently need to disseminate our knowledge and knowhow for sustainable development. Towards this end, we’ve been facilitating courses, explaining models and tools, and creating the necessary mind shift towards sustainability. It’s time to scale up this work significantly and we need your help. Your gift (100% tax deductible) will help us to create a sustainable future that works for 100% of humanity and the planet. Let’s do this together. Do it because Collective Leadership creates responsibility and a vision of FUTURE POSSIBILITIES, it builds up ENGAGEMENT toward effective collaboration ecosystems. Through INNOVATION we can create intelligent solutions to overcome hurdles. Collective Leadership increases empathy and HUMANITY between people, to enjoy diversity and COLLECTIVE INTELLIGENCE to be able to envision WHOLENESS by seeing the larger picture and staying connected to the common good. Help us to bring people together and achieve the Sustainable Development Goals. Donations are made via bank transfer to our account: GLS Gemeinschaftsbank, BIC (SWIFT): GENODEM1GLS, IBAN: DE 48 430609674018546800. We are a registered non-profit organisation with tax-ID 046/142/12298 according to German law and therefore can provide you with a donation receipt for tax deduction. If you are based outside Germany, please check with your tax office whether German donation receipts are accepted. Every donation is welcome! And it is of course dependent on what you want to achieve with it. E.g. 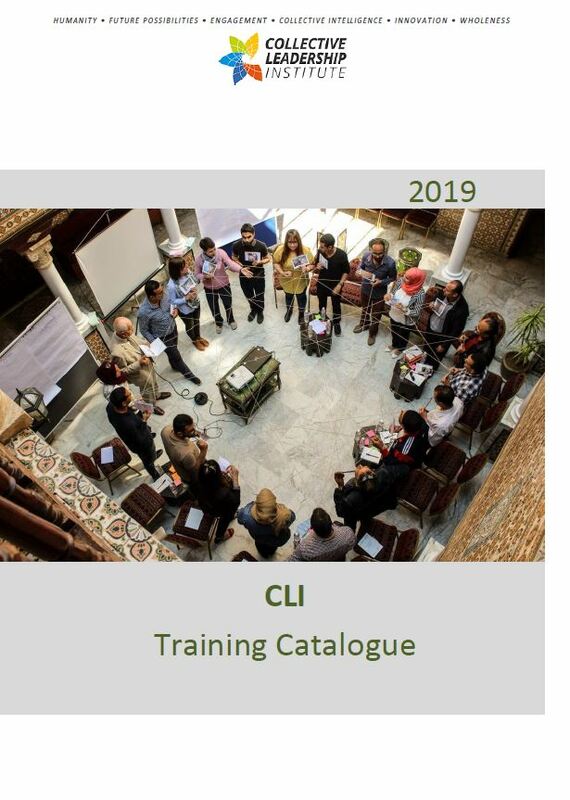 if you want to support people to participate in our trainings who cannot afford it themselves, check our building competence section for typical fees. What happens with my money? Once we receive a donation, we will confirm it and send a donation receipt (if requested). If you want to target your donation to a specific project, please get in touch with us in advance: germany@collectiveleadership.com. This is the best way to communicate directly what will happen with your funds. And we will always include donors and projects in our annual reports section. What will be the impact of my donation? Scaling-up collaboration skills to make the world a better place. We know that this is quite abstract, so please get in touch with us (germany@collectiveleadership.com) if you want to make it more concrete. Do you know a project or initiative where the important skill of collaboration is missing? Does a specific sector in your country need transformation where collective action is essential? Do you know dedicated individuals in civil society whose work could create a crucial impact and who could scale their work with a scholarship for our training programmes? Even if you have no concrete idea yet, you can get inspired by our projects, e.g. Clean Water for Healthy Communities Scholarship in Cambodia. Feel free to contact us: germany@collectiveleadership.com.